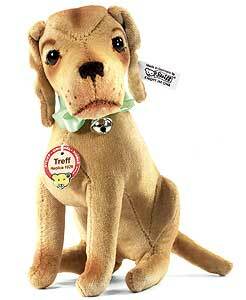 Our Steiff Treff 1928 Replica Dog is single jointed (head) and made of the finest light brown cotton velvet. This beautiful piece wears the famous patinated steel Steiff button in ear and is a limited edition of only 1000 pieces worldwide. Product details: safety eyes, wood shaving filling (just like the original), non growler, total size 14cm. Comes boxed, together with a certificate of authenticity. What a guy to own. It doesn´t get any closer than this! 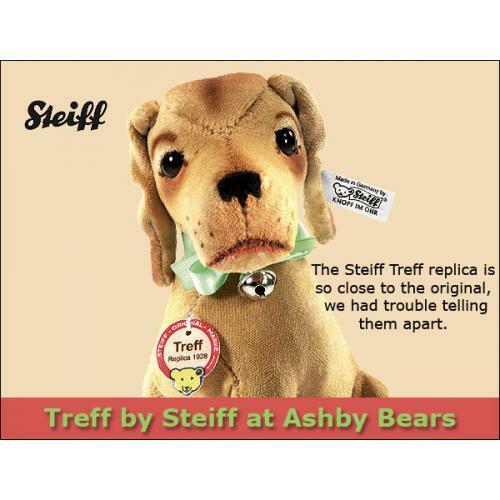 The Steiff Treff replica is so close to the original, we had trouble telling them apart. We think you will, too! Steiff have gone to great lengths to duplicate the original down to the last detail. 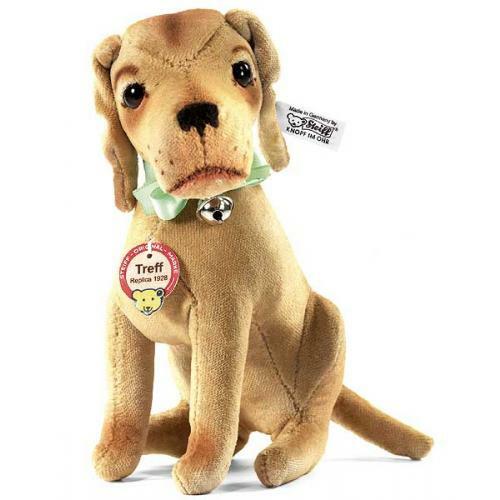 From the intricate hand airbrushing to the patented, half-covered glass eyes, to the original light brown colored cotton velvet fabric to the hand wood stuffing, Treff is simply fabulous - and tremendously accurate in every way! Treff´s neck is jointed and he has wire in his front and back legs to help him sit properly - just like the original. Treff sets a new standard for replicas.